"An Exceptional Umma? The Media Mainstreaming of American Islam"
Abstract: The argument focuses on a new American exceptionalism that increasingly shapes American Muslim religious discourses, drawing on a particular, troubling (and territorialized) constructions of race and Americanness/indigeneity through the analysis of intra-Muslim debates as they are represented in the mainstream US media. What do we make of the fact that as the War on Terror systematically undermines transnational charitable, intellectual, and migrational networks that connect American Muslims to the Muslim World, American Muslims are increasingly calling for the breaking of those same ties? How are Muslim American religious leaders reproducing their own derivative discourses of Good and Bad Muslims in the course of promoting their own projects of Islamic reform? How do Muslim American religious leaders respond to charges of religious opportunism by critics who accuse them of "jockeying" for religious authority on the stage of the media? Case studies of mediatized religious figures will include Yasir Qadhi, Hamza Yusuf, Amina Wadud, Asra Nomani among others. Zareena Grewal is a documentary filmmaker and associate professor of American Studies and Religious Studies at Yale University. She is the author of Islam is a Foreign Country (2013) and creator of By the Dawn's Early Light: Chris Jackson's Journey to Islam (2004). The talk has been made possible by a grant from the Templeton Religion Trust (TRT). In Islam Is a Foreign Country, Zareena Grewal explores some of the most pressing debates about and among American Muslims: what does it mean to be Muslim and American? Who has the authority to speak for Islam and to lead the stunningly diverse population of American Muslims? Do their ties to the larger Muslim world undermine their efforts to make Islam an American religion? Offering rich insights into these questions and more, Grewal follows the journeys of American Muslim youth who travel in global, underground Islamic networks. Devoutly religious and often politically disaffected, these young men and women are in search of a home for themselves and their tradition. 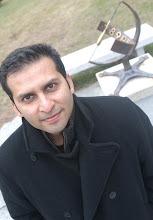 Through their stories, Grewal captures the multiple directions of the global flows of people, practices, and ideas that connect U.S. mosques to the Muslim world. By examining the tension between American Muslims’ ambivalence toward the American mainstream and their desire to enter it, Grewal puts contemporary debates about Islam in the context of a long history of American racial and religious exclusions. Probing the competing obligations of American Muslims to the nation and to the umma (the global community of Muslim believers), Islam is a Foreign Country investigates the meaning of American citizenship and the place of Islam in a global age.